Do you have daytimer dilemma! We need paper planners more than ever! We love our technology for tracking all the details of our contact and appointments. But nothing replaces paper for planning out our month, week and day. Putting pen to paper is grounding for our bodies and brains. 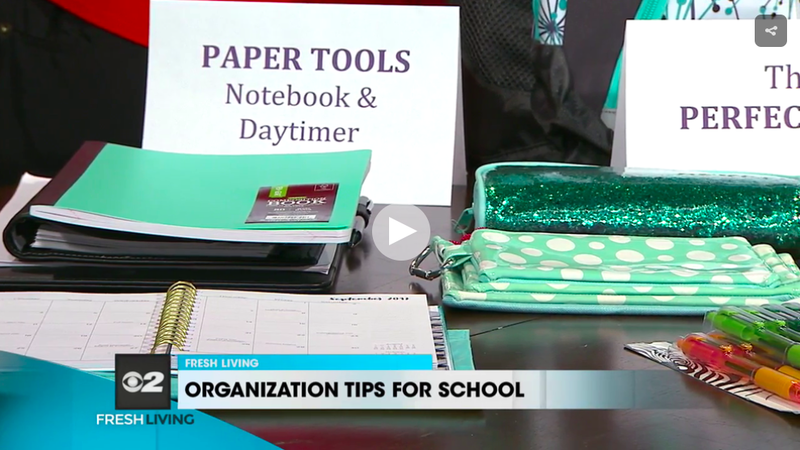 Watch and this fun segment on Fresh Living and get my top tips for picking the perfect planner, along with some favorites. 1 – SIZE MATTERS: Will you want to carry it with you at all times? If so, does it need to fit in your purse or pocket? Or do you want a larger planner? For a simple, sleek planner try the moleskin which you can get on Amazon. Or one of the many pocket versions at your office supply or bookstores. 2 – USE MATTERS: MONTH, WEEK & DAY: How much use do you need? You can keep it simple and just get a 2-page month to keep track of appointments. Most of us need this because doing it on the smartphone is impossible. However, if you need more space or want to make simple lists, also get a 2-page week. If you need to plan out your day in detail then a 1 or 2-page day is needed. For tabs and pages that fit the disc bound notebook go to levenger.com or Etsy or your local office max. The advantage here is that you can add and subtract pages easily. 3 – DESIGN MATTERS: You will be using your planner all the time so choose a look and feel that you love. You can also get creative and customize. For stylish in different sizes and formats daydesigner.com. Or check out the Happy Planner, the Martha Stewart Planner with Staples. 4 – PERSONAL &/OR BUSINESS USE: There are excellent planners available now that really help you stay focused on your goals and productivity. For a super smart, productive 2-page day check out the brilliant Self Journal at bestself.co You can download the pages and try them out first. And don’t forget the classics of Daytimer and Franklin Covey. 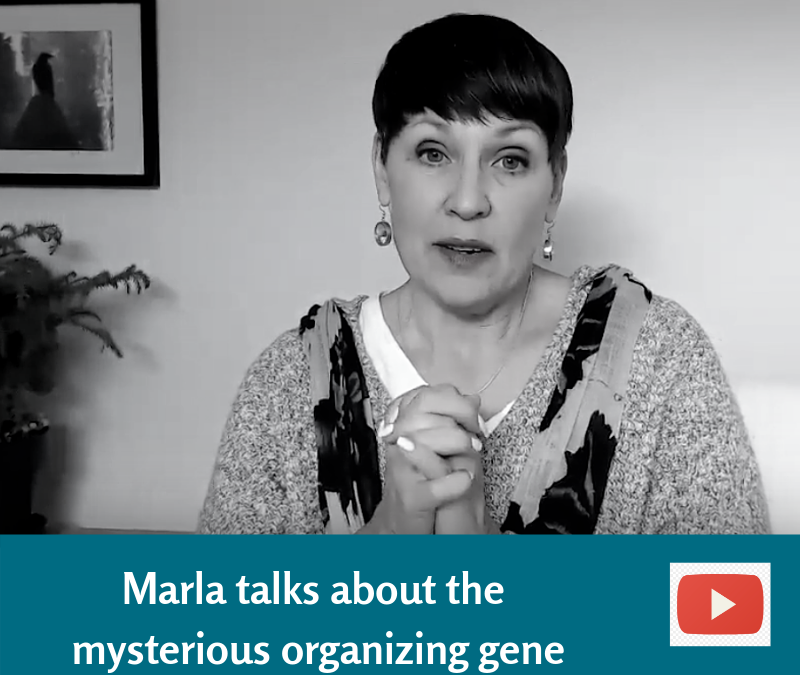 Marla Dee, the creator of the Clear & SIMPLE Way, has been helping people for 18 years get clear of the clutter in their space & the chaos in their day! Only YOU can stand up for what matters most in your life. We talk about this every December because your life is what matters most to us. We are passionate about helping you get free of clutter and get organized so you can love your life. We are constantly hit with distractions and overwhelm in our world. This energy keeps getting stronger. It takes being present and standing up for what you really want in your space, your day, your relationships and with your stuff. We want your year-end to be filled with the sweetness of the year gone by and looking forward to what is next. December can be a time to slow down (rather than speed up). As the sun sets earlier we now have long evenings to sit, read, write and share with loved ones. Before technology came, we sat around a roaring fire or the big, wood dining room table and we talked. Wouldn’t it be sweet to end the year this softer way? We invite you to take an honest, deep look at your life. By simply getting still and reflecting back over the year, you can open to what matters most! Set aside an evening or a morning to ask and answer the following queries. Then share with your loved ones and ask what matters to them. In the relationship with myself? In my home and workspaces? In my work or creations? In the next steps of my path? ** Get a printable version here. Now ask yourself–Is there one change I am ready to make that will truly honor what matters most to me? It might be going to bed earlier, journaling daily, or calling your mom every Sunday. We suggest starting with one change and let this be enough. From Marla – Once a Year I offer this precious workshop and guidebook. It is called Your Life Matters! I will step you through looking at the year closing down with heart and presence. We will then tune into what you most want for the next year and create your theme and goals. The workshop will be on Saturday, January 13th, 2018 at my office in Murray Utah. I would love to have you join me. This workshop is limited to 9 wonderful human beings. School Tools to relieve the stress and add success! It’s here! – Time for the kids to go back to school, or for the grown kids to leave for college. No matter what age you are, school can be overwhelming as well as exciting. We want to make organizing fun so we are sharing our tools to relieve the stress and add success. 1 – Even with today’s technology most of us still need paper. A Day Planner that suits the child is still vital for tracking all the information and actions. And check out the brilliance of discbound notebooks. This notebook is called the TUL Notebook at Office Depot, the ARC at Staples or CIRCA at Levenger (an online resource). You can also find cool accessories for them at Etsy.com. 2 – Set up yourself up for success by getting the perfect backpack for you along with all the necessary tools. Watch the video below to see some of my favorite tools to go inside the backpack. Hint – those packs get heavy, so get one with wheels. 3 – We all have activities where we get lost in the zone. Our favorite tool for helping you stay on track in the TimeTimer. It answers the big question of how much time is left without having to calculate. And the section in red gets your attention so you stay focused. Invitation to you – Choose one of the TIPS above and share your experience with me at [email protected] or www.facebook.com/clearsimple.com and we will give you a prize. we want you to get organized and have fun doing it.